I found that setting up an activity centre in the lounge floor made for surprisingly a few hours of creative play for the boys. 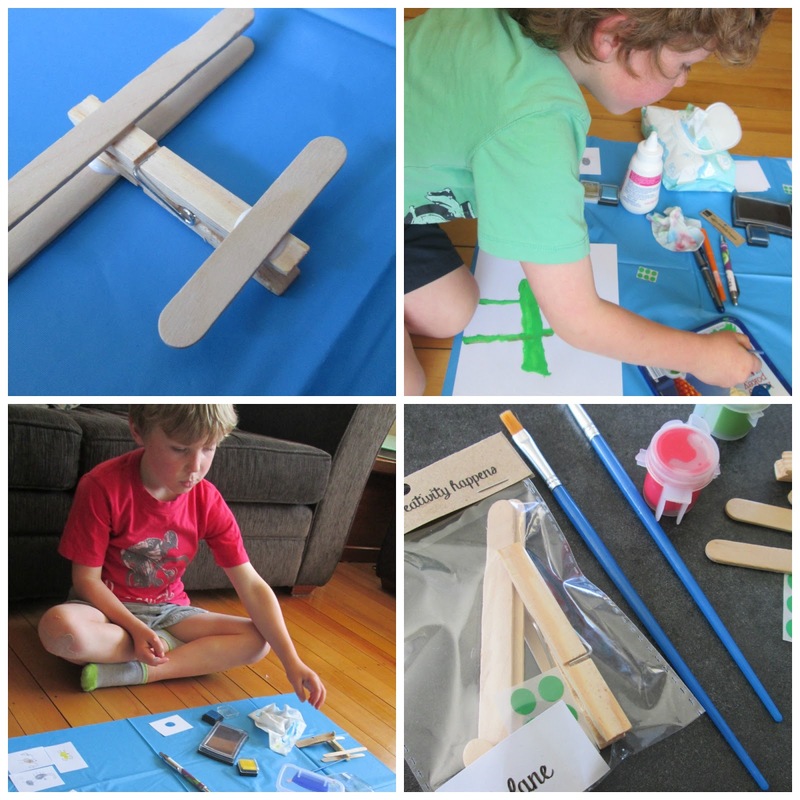 I set up the possible activities with everything they would need for creating peg biplanes, painting and finger print art. I was well prepared with plastic on the floor, water, paint, paint brushes, ink, pads, paper, glue, pens and baby wipes. 90% of the items we already had at home. 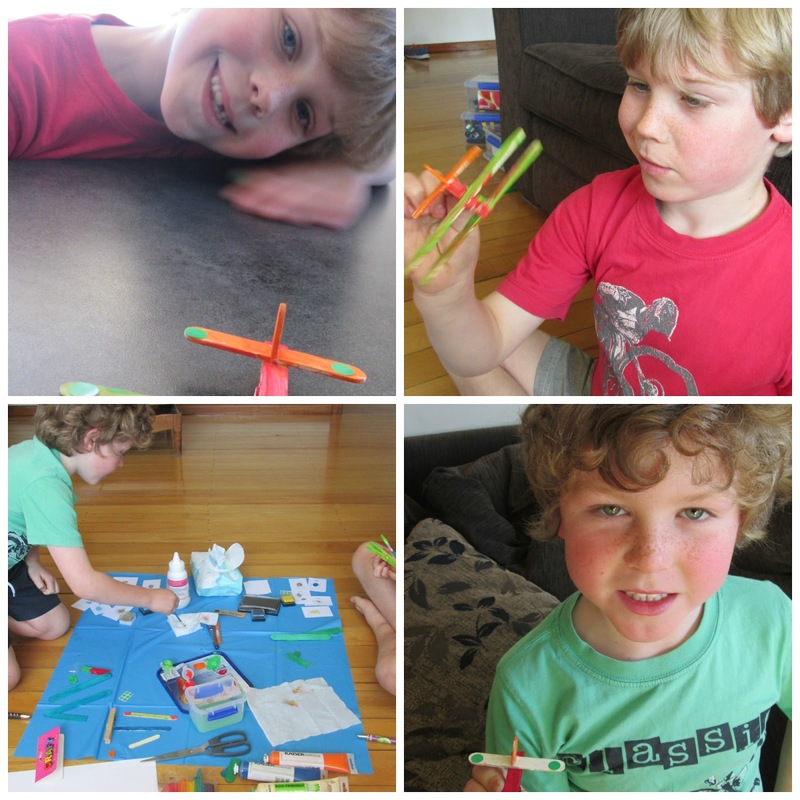 We only spent money on the biplane kits, a new paint brush each a pottle of mini paint from Make. 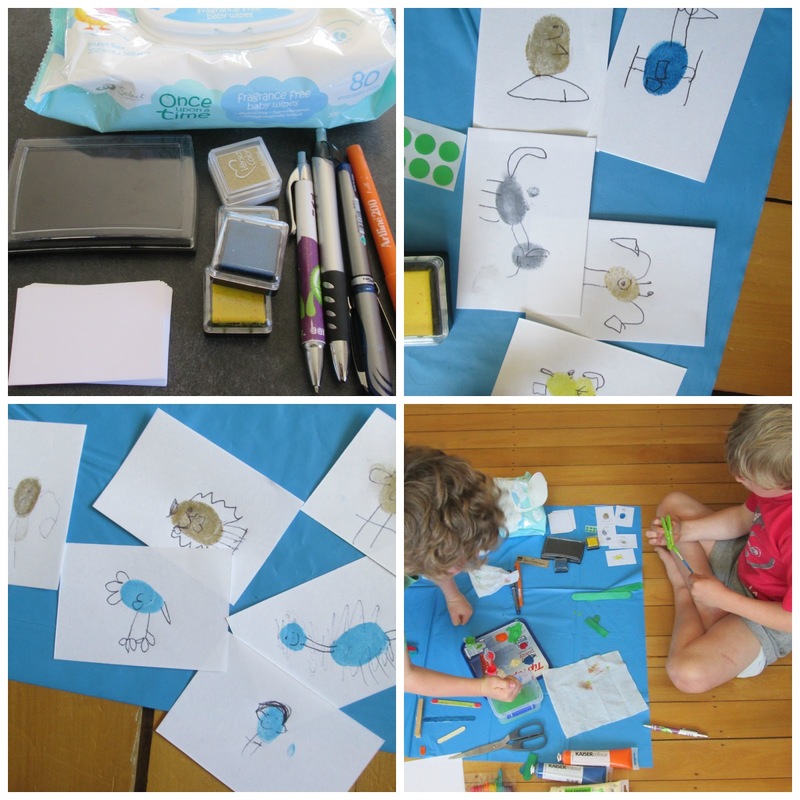 Firstly I showed the boys how to make a finger print using the ink pads and using a pen created a bird. The boys loved this simple and easy it was to create a variety of animals, people and vehicles. They were able to paint the biplanes and while waiting continue with another crafts I had set up. The biplanes required my help mainly for helping hold the parts in place before the glue. We were helped along with the sunshine drying the glue quickly. 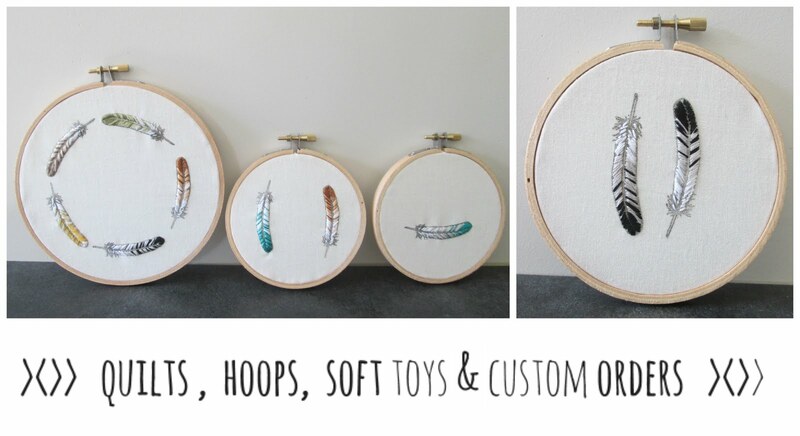 A very fun afternoon of creating with not too much mess to clean up!